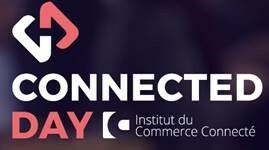 The Connected Day is your connected commerce rende-vous at the heart of the French Retail Valley. It is a day dedicated to digital retail, packed with 1-to-1 meetings, keynotes, and themed panel discussions, best in class retail technology partners and innovative startups. More than 90 retail brands will join us this year. Will you? The conference will take place in Lille, France, on the 29th of November 2018.